Optimus EX (SU880) is only 9.65mm thick and weighs 127g, it runs Android 2.3 Gingerbread, has 1GB of RAM and 8GB of onboard storage space, plus microSD slot if you want for more. The phone offers WiFi Direct support, along with DLNA, Bluetooth 3.0, GPS and DMB digital TV tuner. At the back it has a 5 megapixel camera and on the front is another one VGA camera for video calls. 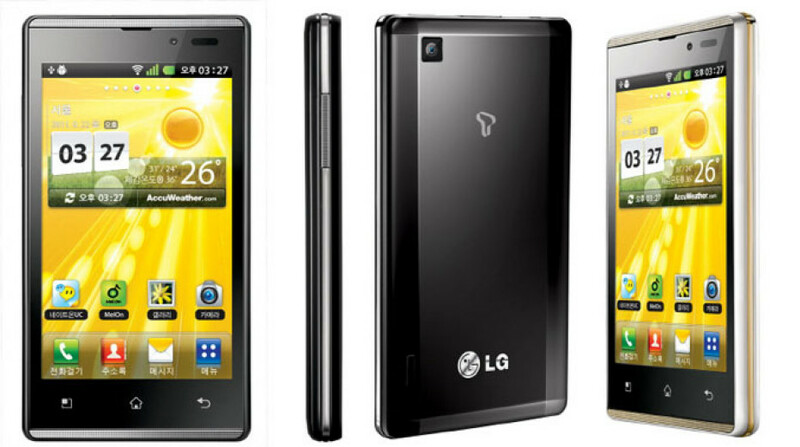 LG Optimus EX will be launched from Korea’s SK Telecom for unspecified price for now and LG didn’t reveal information about worldwide availability.